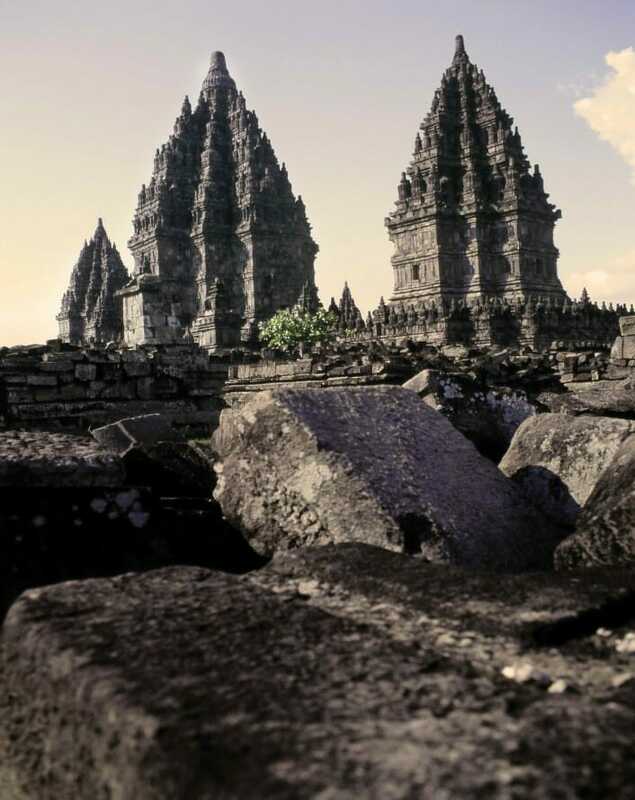 Prambanan, or Roro Jonggrang as known by the locals, is a 9th-century Hindu Temple in Central Java, Indonesia. It is the largest Hindu Temple in Indonesia and a UNESCO World Heritage Site. Although the number of visitors to this temple is not as prolific as to Borobudur Temple, Candi Prambanan is also one of the most visited attractions in Indonesia. In addition, the Prambanan offers something unique that the Borobudur doesn't: Traditional Javanese dance performances (based on the Rayamana legend) performed on every full-moon night. 1. Learn about Hindu beliefs and culture – you'd see three main temples representing different personification of God. You can also visit other smaller temples to learn more of the Hindu community. 2. Watch the spectacular Ramayana Ballet - This is a traditional Javanese dance performance based on the famous Ramayana legend. This is a fascinating and one-of-a-kind dance performance under the full-moon sky with the historical temple as the backdrop. 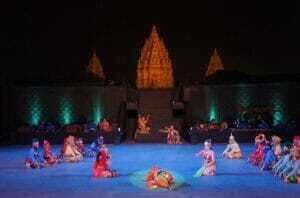 The performance encompasses Javanese style, culture, and music that's supported by 200 dancers and musicians. We'd suggest that you confirm your attendance prior to your arrival. 3. Enjoy the night view of Prambanan Temple - Dine at Abhayagiri restaurant and for some international and local delicacies while enjoying the incredible view of the Prambanan temple at night. The restaurant has classy Japanese style architecture with plenty of entertainment such as live acoustic performance and Jonggrang traditional dance. 4. Batik showroom - While visiting Prambanan during the day, you'll get a chance to visit several batik showrooms near the temple. You can buy some memorable souvenirs and even learn some batik craft from the locals. With regards visiting an outdoor attraction, it's always advisable to visit during the dry season, from April to October. Go during the rainy season (November to March) if, and only if, your schedule doesn't allow you to go during the dry season. The thing about going during the rainy season is the possibility of getting some really good airfare and hotel deals. That's if you're willing to do your research and homework. Similar to visiting Borobudur Temple, the best time to visit Prambanan Temple during the day would be in the early morning (dawn) or in the late evening (dusk). This is taking into account of their opening hours from 6am to 5pm. Breath-taking views, lots of space to move about, and some peace and quiet. Isn't that what holy sites are supposed to be? Check out 2018 Borobudur entrance fees and Borobudur opening hours. 1. One of the simplest option is to go for mini-bus tours which most Yogyakarta city hotels' tour desk can usually help to arrange. Prices may range from IDR 150,000 (S$15, MYR 45, USD12) to IDR 250,000 (S$25, MYR100, USD20). This is the simplest (read 'laziest') method of all as you don't need to plan in advance. Do check with their tour desk for the exact pricing and availability. The short journey to the temple will take you approximately, 45 mins to 1 hour, depending on the traffic and location of your hotel. 2. The second option is to take a public transport there. 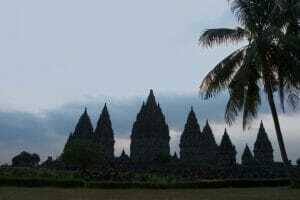 Bus Service 1A of Trans-Jogja from Maguwo will link you directly to Prambanan Temple. It will cost you approximately IDR 3,600 (S$4, MYR12, USD3). You will alight approximately 400m away from the temple. Do note that the bus is often fully booked during peak hours or season.